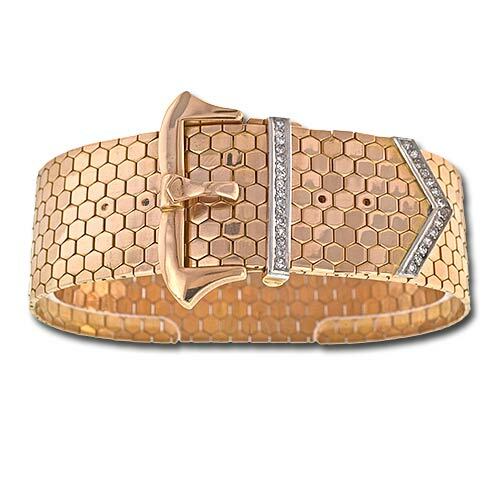 A jarretière is a strap bracelet made from flat, broad links with a buckle fastener, mordant and occasionally a slide. The style appeared in the mid-nineteenth century and has been revived in all succeeding decorative periods. Ludo Jarretière from the 1940’s.